Many people are confused by what weight and volume mean when it comes to fragrance oils and how they are packed. Sometimes a person will order a fragrance oil and be surprised to find that it is not filled to the top of the bottle. They instantly assume when the fragrance oil arrives that there is something wrong or that some of the contents must have spilled out or they are not getting what they paid for. Weight and volume are not the same measurement. It all depends on what measurement you are paying for. Understanding weight and volume and how it pertains to fragrance oil may clear up some of the confusion. 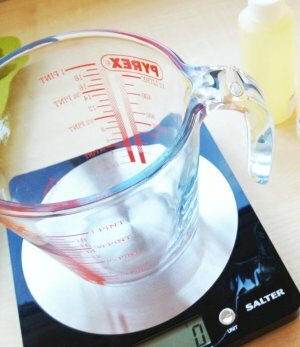 When fragrance oils are hand packed, a scale is used to insure that the actual weight is measured correctly. Weight is actually what the fragrance oils weigh. That is why some fragrance oils come packed to the top of the bottle while others do not. Let's take a look at another example -what if you had a pound of feathers and a pound of steel and you needed to package them ? The pound of steel will take up less room in the bag than the pound of feathers but each will still be a pound. Hand packed fragrance oils are sold by weight. Some oils are more dense than others so they will take less room up in the bottle- but you are still getting the same weight! If you are paying for 1 ounce, then you will get 1 ounce. Some fragrance oils simply take up less room in the bottle than others because of the density. The volume of anything is not how much it weighs but how much room it takes up in its container. So while it may seem that you are getting “more” volume with one fragrance oil over another you are still getting the same amount of oil. It simply means one oil is denser (heavier) than another oil that takes up more volume in the bottle. Fragrance oils that are hand packed (and ours are) are actually packed more precise than mechanically packed oils. You are getting exactly the weight you are paying for because it is hand packed and it is measured accurately not by volume (how it looks in the bottle) but by how much it weighs!